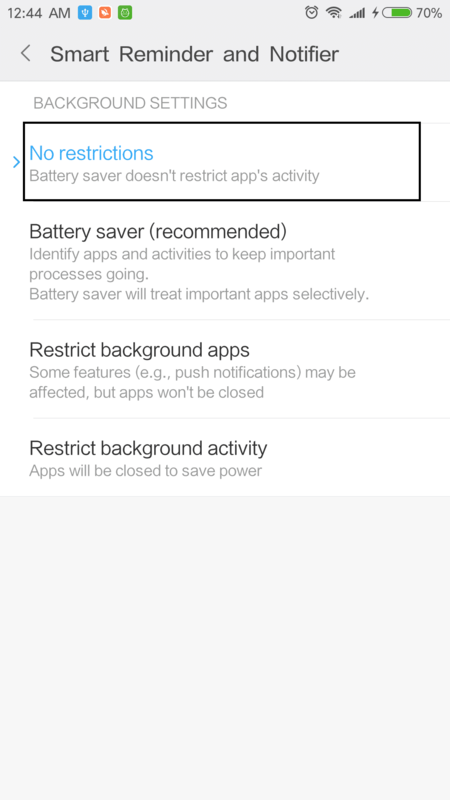 Smart Reminder and Notifier app doesn’t auto start in Xiaomi / MI phones because of having an advanced system that does not allow apps to run in the background for a long time and hence the app doesn’t work correctly to provide the services, it is designed to do. 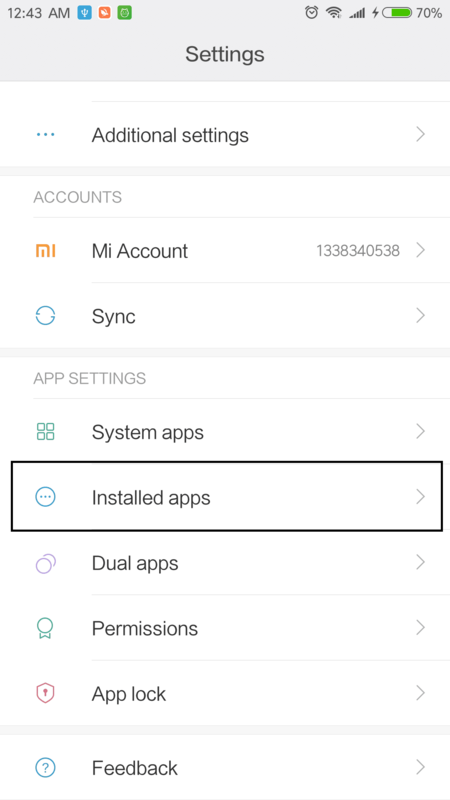 Xiaomi sometimes automatically deny some important permissions without even asking the user. 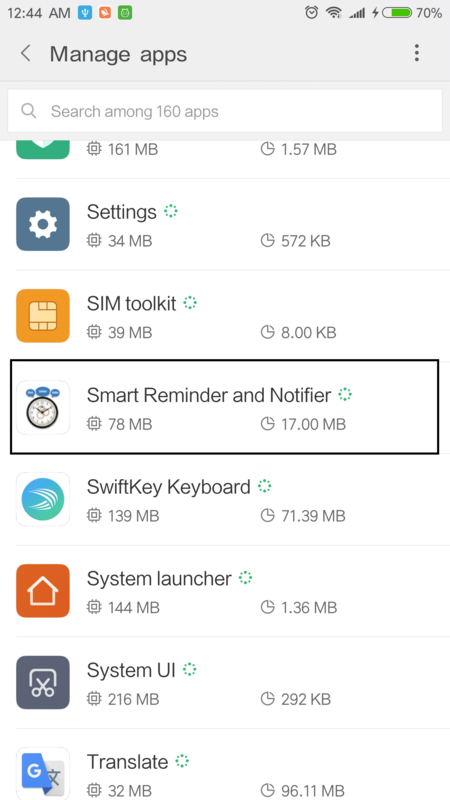 The Smart Reminder is specially designed to work in automation mode, means the user has to worry less and to increase the productivity of the user. 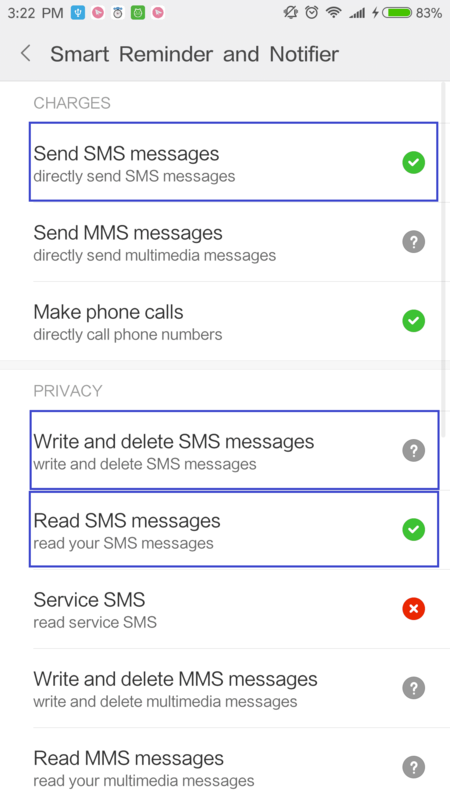 Read/ Modify/ Delete Contacts: Required to get Birthdays information from Phone’s contacts and also extract their phone numbers, in order to wish loved ones automatically and exactly on time. 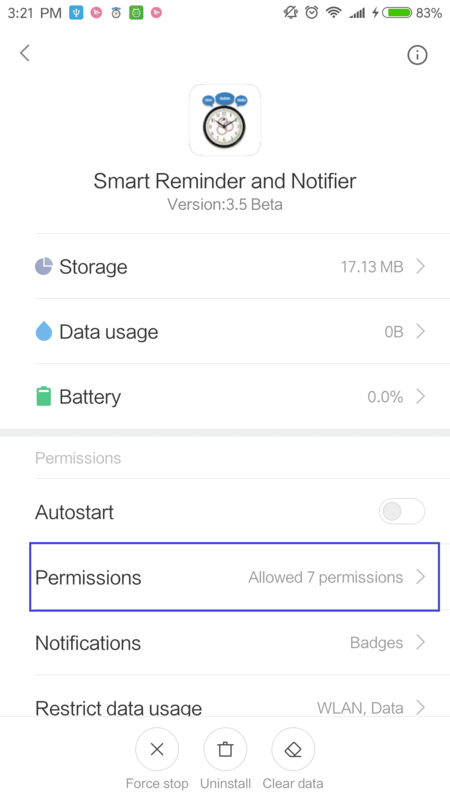 Access and Change Files on Internal Storage: The app keeps it’s databases and settings information on internal storage, so this permission is extremely needed, otherwise the app won’t be able to save any reminders or any settings. 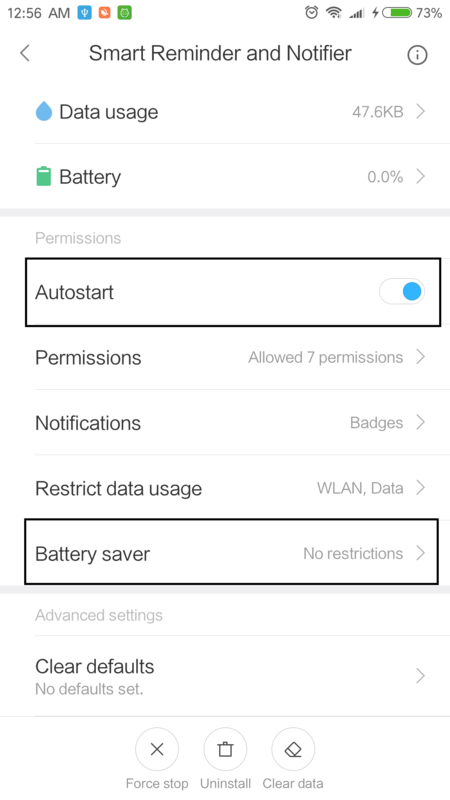 Start in background: This permission is also extremely important, this allows the app to work in the background and remind you and work for you automatically at a scheduled time. If the app doesn’t start, it won’t work well. 2. 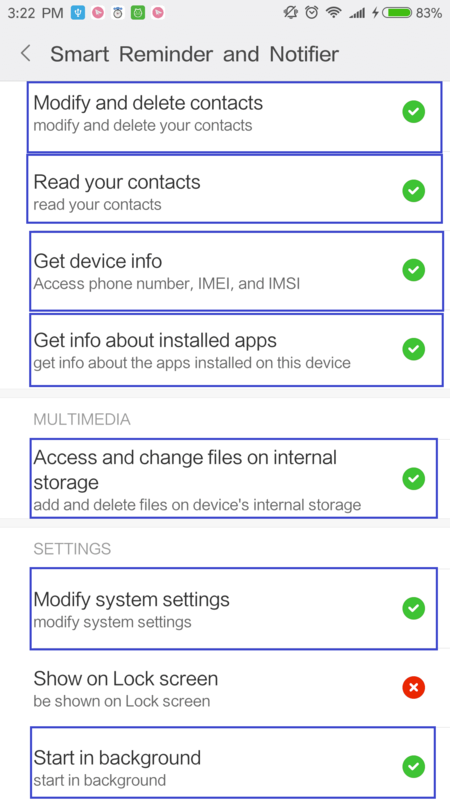 Enable the following permissions for the app to work efficiently.